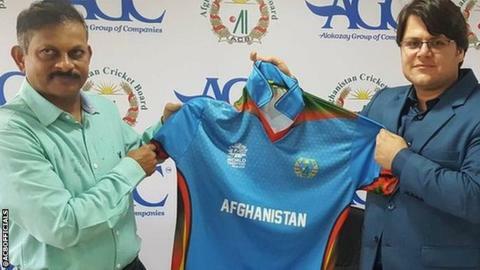 The Afghanistan Cricket Board has named former India batsman Lalchand Rajput as the new head coach of their national team. He takes over the position vacated by former Pakistan captain Inzamam-ul-Haq in April 2016 and his first assignment is a tour of Scotland, Ireland and the Netherlands in July and August. According to ACB chief executive Shaiqullah Stanikzai, Rajput was chosen ahead of former Pakistan batsman Mohammad Yousuf, former South Africa batsman Herschelle Gibbs and former West Indies fast bowler Corey Collymore. The three of them had applied through their agents while Rajput’s name was recommended by the BCCI. Previous coaching experience and administrative work had given Rajput an edge. He was in charge of the Indian team when they won World T20 in 2007 and for the controversial tour to Australia in 2007-08. Following his retirement after a 17-year playing career, he served as joint honourary secretary of the Mumbai Cricket Association. Rajput is in line for a two-year contract, but that decision would be finalised after the upcoming tour of Europe. Afghanistan play seven ODIs against Scotland and Ireland, and an Intercontinental Cup match against Netherlands. It is learnt that the ACB had been in talks with former Sri Lanka fast bowler Chaminda Vaas, but they fell through. Rajput has played two Tests and four ODIs for India, to go along with his 110 matches and 7988 runs in first-class cricket. He has also coached his state side Mumbai in the Ranji Trophy and in the Indian Premier League. Rajput has had successful stints at the helm of India Under-19 and A teams. He was also among the final contenders to take over as India’s full-time head coach. But with Anil Kumble’s appointment on Thursday, Rajput was free to take up the ACB’s offer.